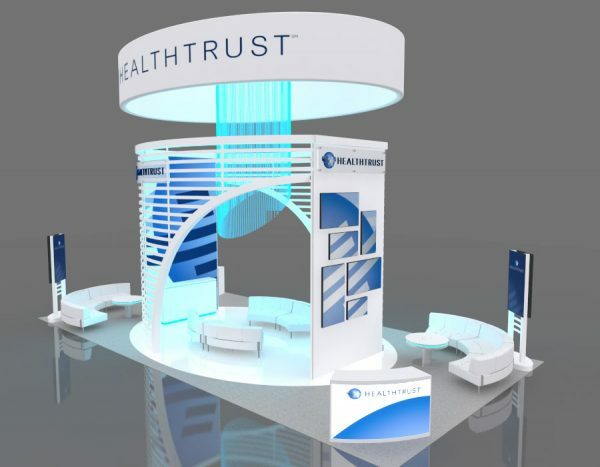 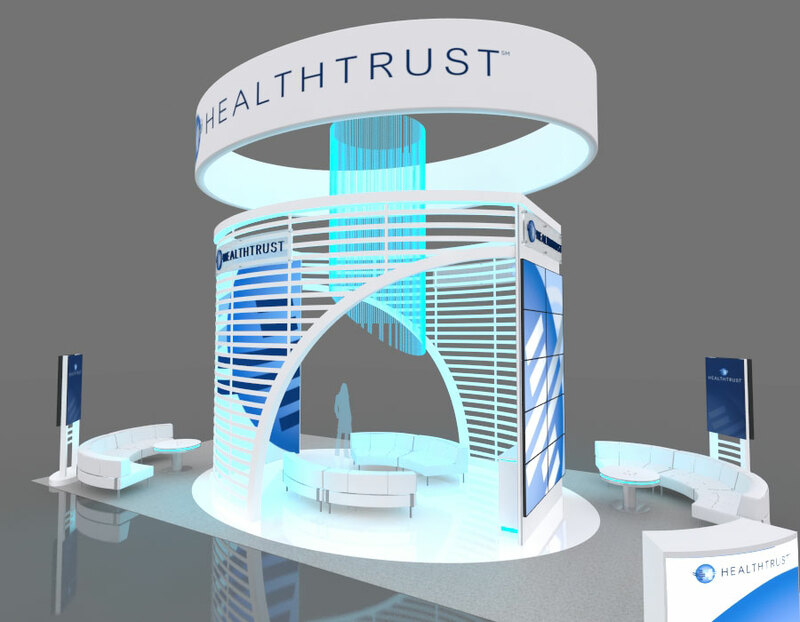 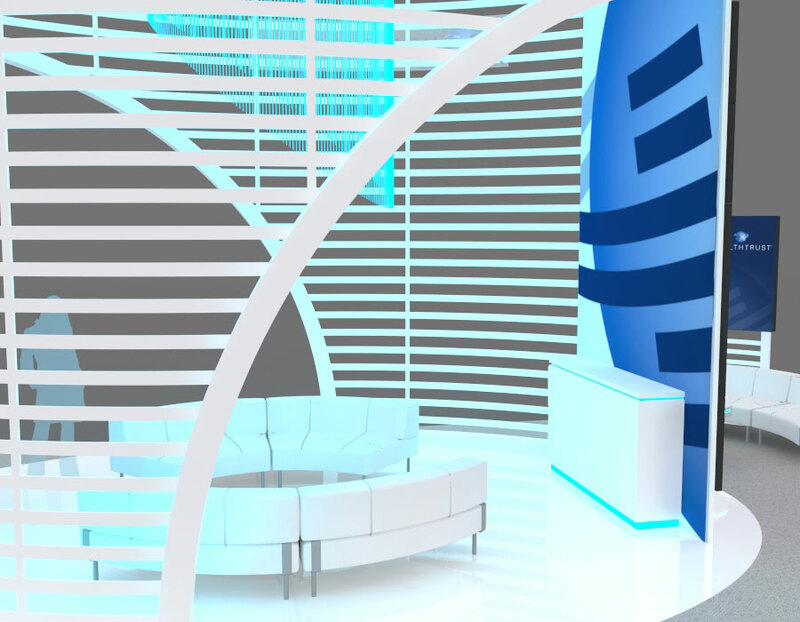 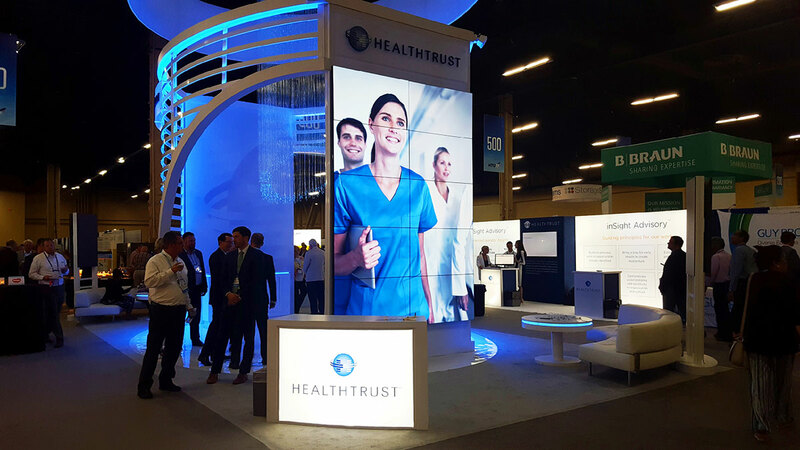 HealthTrust was looking for an open-concept design that would work in different sized booth spaces and also be utilized by their sister company, Parallon. 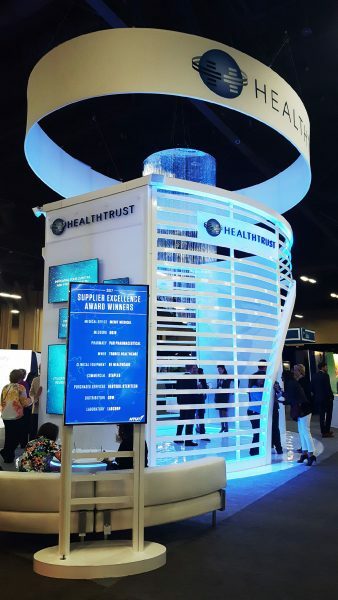 The client was looking to impress attendees on the show floor and create a space that would serve as the center hub at their own conference, HealthTrust University. 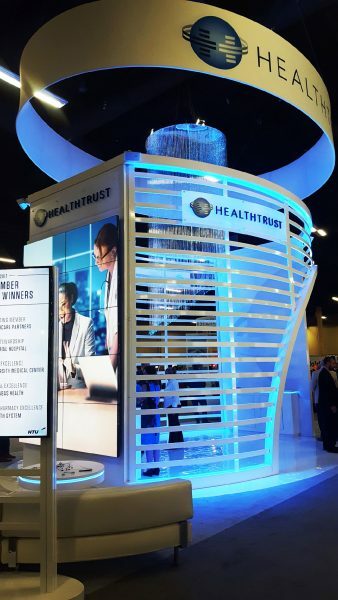 Astor Group incorporated multiple concepts and ideas from HealthTrust’s team to create a memorable exhibit for both HealthTrust and Parallon. The booth’s central structure was built to impress while maintaining an open-concept. 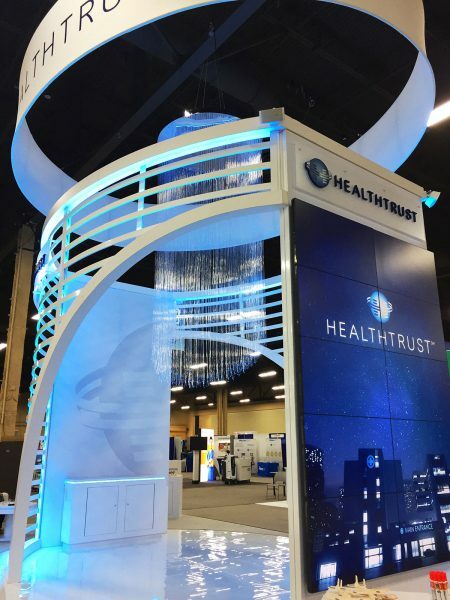 It features custom curved entranceways, two unique video walls, glowing slats that sync with other lighting effects throughout the booth, and a gorgeous custom-fiber optic chandelier that will catch anyone’s eye. 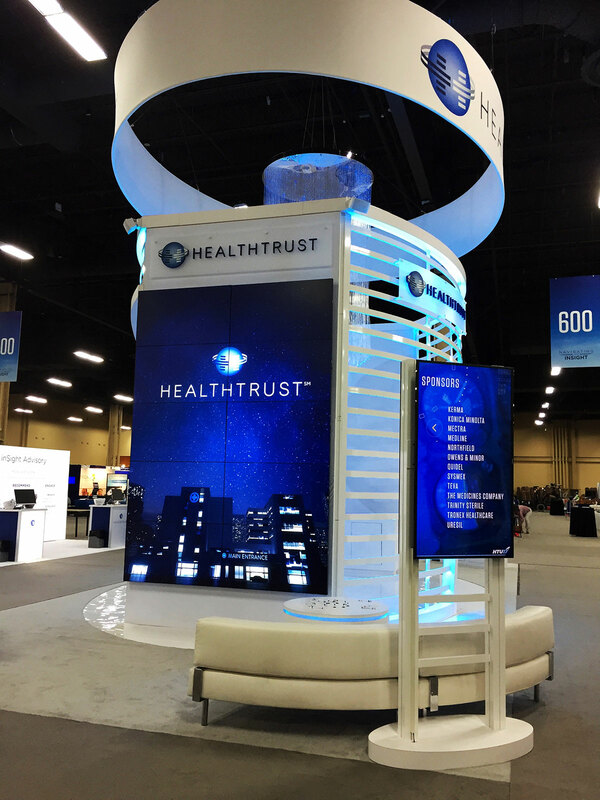 Outfacing monitors, charging stations and comfortable seating areas were a versatile addition to be utilized in different sized spaces. The custom white floor reflects the many light features to create the glowing sensation the client was seeking.